Home » Bible , Gods Love , Jesus Christ , Joy , Just and unjust , Peace , Peace of God , Prayer , Redemption , Reflect , Second Coming , True Church » Addicted to Joy!! 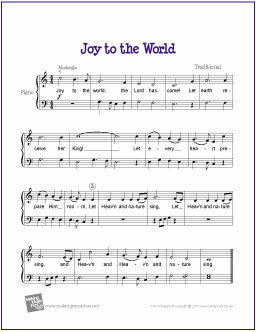 The hymn, Joy to the world, the Lord has come, is a seasonal favorite in churches and homes during the Christmas season. 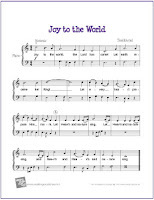 It was written by Isaac Watts' and published as a hymn in his famous hymnal, Psalms of David Imitated in the Language of the New Testament.1 In my estimation it is meant to declare the “Joy" one is to experience when they consider the Biblical nativity (1st Advent) and eternal rule (2nd Advent), where the Lord twice steps out of eternity and into the bounds of time. What I would like for us to consider is the question, "Can real joy be found every day of our lives?" 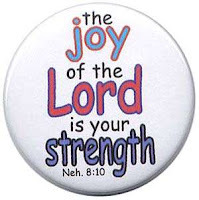 Certainly from the world’s point of view this is impossible when we consider how worldly joy is attained. The closest thing the world can emulate to the true joy declared as available in Scripture is "eventful joy;" that is to say, a joy that is based upon certain events that occur in life; a new job, a goal reached, a new child, a new car, a new promotion, a new home, leaving a mark in the world, etc... I think you get the point. Although these things are and can be good and they certainly can contribute to "who we are" in the face of the world, events that bring this emotion do not happen every day. Because of this, it is the desire to have "eventful joy" that keeps most people striving to “attain to” or “grasp for” something—anything on earth that can fill the order. Because similitudes of true joy are sometimes tasted by those in the world their lives can easily become consumed in a drive for more, and more. It seems they will never understand that it is God who in His grace allows the sun and rain to fall on both the just and the unjust, Mt. 5:45. Voltaire, the famous skeptic is said to have died with cries of internal agony. His nurse is recorded as witnessing those throes of emptiness which led her to pen the following: "For all the money in Europe I wouldn’t want to see another unbeliever die! All night long he cried for forgiveness." Voltaire is just one of many who lived to prove that joy could never be found in a life apart from the eternal God, Heb. 12:17. It would not be hard for any of us to put forth a list of names. This thought brings us to the point of understanding that for "Joy" to be true it must be something that certainly can and should be experienced daily. Consider with me for a moment how we can daily experience true joy. First, we need to learn to face the day with the proper mindset. It is God who is in control. It is He who ordains the light and the darkness, Job 38:12; Ps. 74:16, Ps. 65:8. When we first arise and see that sunrise coming over the horizon, like clock-work—know that He is in control. This is a good time to offer a prayer of thanksgiving for His faithfulness. Second, if we have processed the first thing we need to go to the Scripture and allow God's word to feed our soul. Daily nourishment from Scripture is as necessary for the soul as water is for the body, and more so. If the body dies the soul will still live, it needs to be fed. Pray for God to give you wisdom. Third, once the promises have been fed to our soul we need to thank God for being our Protector, Guide, and Helper in times of need, any need. Pray with earnest as you pour out your heart to God. Fourth, we need to believe and cherish all that we have been given. From what God has told us in His word to the things he has provided for our comfort. Finally, be content with what the day will bring. Knowing that I have placed my trust in God for the day and that it is not me in charge of the day gives me a comfort and a joy that the world will never understand nor take from me! Isaac Watts knew of this eternally present “Joy” and as a young man he could begin writing multitudes of hymns to express it. Although it is only the beginning of the fall season, winter will soon shroud us and Joy to the World will again be joyfully sung in the God-fearing churches that dot the landscape of the world. Do not hesitate to begin living your life in the presence of the Lord! 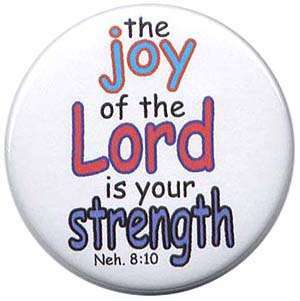 May His joy for you become your joy for life!